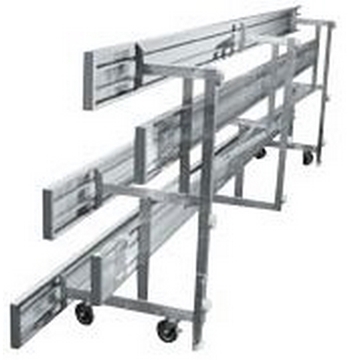 Our commercial grade tip and roll style bleachers are designed to make relocating and storing a breeze. 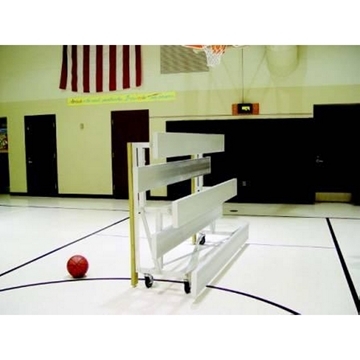 These bleachers allow for easy movement for indoor gyms at schools and churches nationwide. 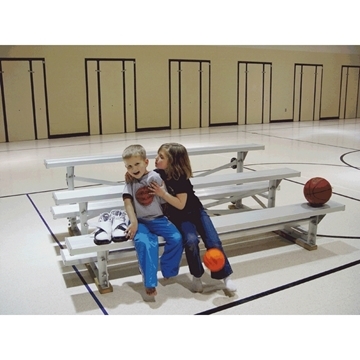 Crafted from non-corrosive anodized aluminum, our bleachers will keep their rich metallic look for years with little to no maintenance required. Tip and roll bleachers are simple to operate as the bleacher is easily tipped up onto its castors for maneuverability, which then can lock in place so the bleacher won't roll in storage. Call or chat with our staff to find out how to get quantity discounts.